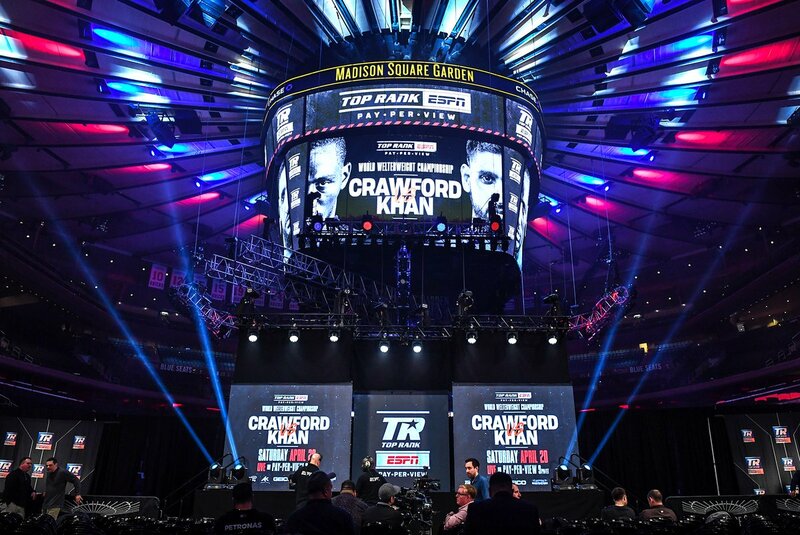 LAS VEGAS-After a slow start the Manny Pacquiao train picked up steam and might have jump started the flooded welterweight division while retaining the WBA world title on Saturday. Pacquiao (61-7-2, 39 KOs) made his debut for Premier Boxing Champions with a decisive win over Adrien Broner (33-4-1, 24 KOs) before a crowd of 13,025 mostly partisan fans at the MGM Grand. It was the Filipino superstar’s first fight in Las Vegas since November 2016 when he defeated Jessie Vargas. Once again he showed what separates him from other top welterweights. Pacquiao had problems fighting Broner’s style at first. It’s the same counter-punching method used by Broner’s mentor Floyd Mayweather and it proved effective during the first half of the fight. But the Filipino southpaw slowly found the antidote. Broner’s lead right cross proved effective and when he mixed in jabs it seemed to give Pacquiao pause until the fifth round. Then a one-two combination followed by a lightning three-punch combination seemed to put Pacquiao in the driver’s seat temporarily. 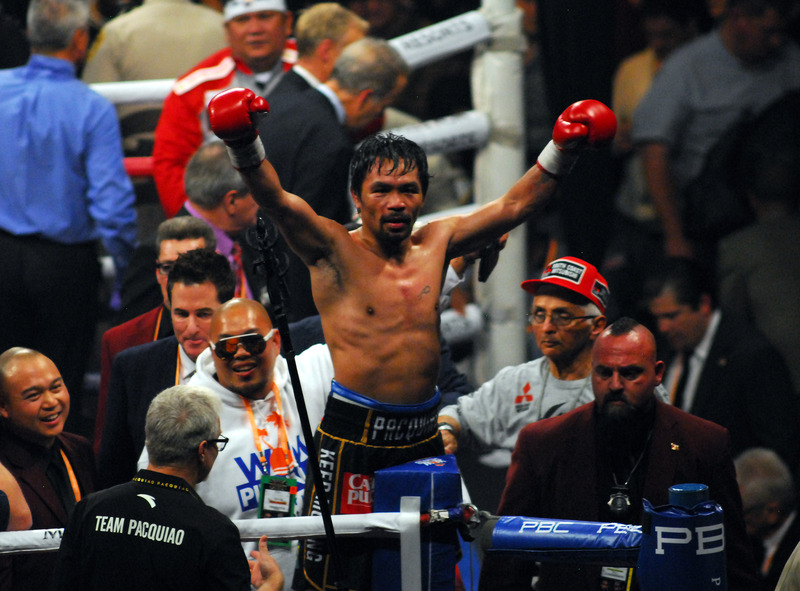 Pacquiao finally took charge in round seven when Broner connected with a solid left hook. 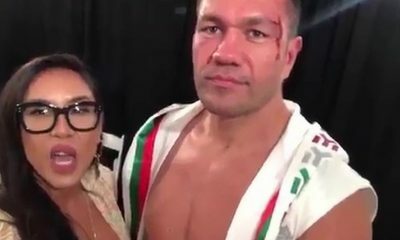 Immediately Pacquiao retaliated with an overhand left cross that seemed to stagger Broner and that’s when the blows came raining down. Pacquiao unloaded a six-punch combination then followed with a 13-punch blitzkrieg that had Broner covering up. Every punch in the Filipino’s arsenal came into play. Broner survived. Although Broner seemed hurt, he was able to transition into a survival mode and allowed Pacquiao to take full control of the fight. From the seventh round until the 11th round Pacquiao steamed ahead. The Cincinnati fighter Broner mounted a short rally in the 11th round with a one-two combination followed by a left hook. Broner used that combination twice more in the round and capped it with a right cross. It was Broner’s best round since the sixth. But it wasn’t enough. All three judges clearly saw Pacquiao the winner 117-111 and 116-112 twice. 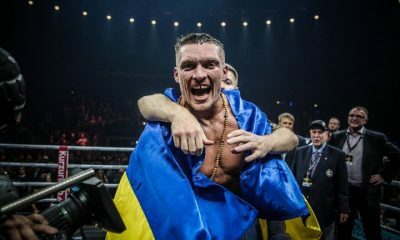 He retains the WBA world title and he now opens up the welterweight division for some potential blockbuster fights. Now that Pacquiao has signed a promotional contract with PBC, a bevy of potential bouts await such as Errol Spence Jr., Mikey Garcia, Danny Garcia, Shawn Porter and Keith Thurman. And of course Floyd Mayweather is a desired foe and was sitting ringside during the fight. Blood poured in the second half of the fight and Marcus Browne (23-0, 16 KOs) took advantage with a consistent attack against Badou Jack (22-2-3, 13 KOs) that allowed him to take the interim light heavyweight titles by unanimous decision. 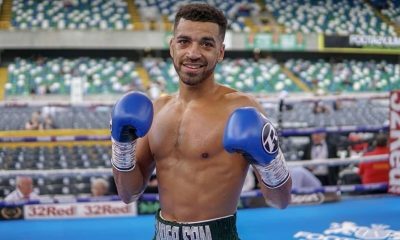 A violent clash of heads in the seventh round saw Jack emerge with a three-inch gash and from that point on, blood impeded any hopes of Jack mounting a serious rally. No knockdowns were scored and after 12 rounds all three judges favored Browne 119-108, 117-110, 116-111. Frenchman Nordine Oubaali (15-0, 11 KOs) took the WBC bantamweight world title from Cincinnati’s Rau’Shee Warren by unanimous decision in a battle of southpaws. 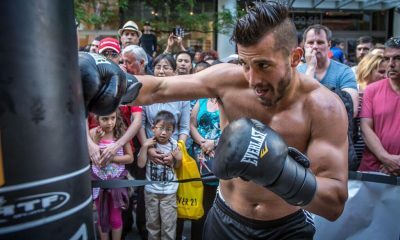 Oubaali found continuous success with the right hook and often doubled it up to score repeatedly throughout the 12 round fight. 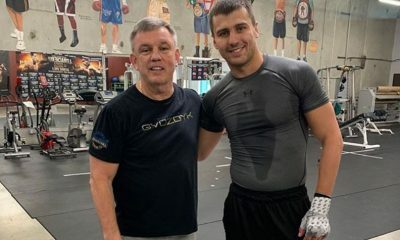 Warren seemed unable to solve the puzzle and found success with the right jab at first, until Oubaali connected with a sizzling left counter early in the fight. Warren tried repeatedly to walk down the French bantamweight but was often out-hit during the exchanges. 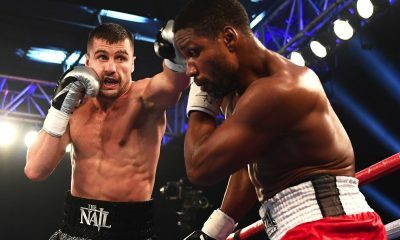 In the seventh round the American southpaw stood his ground and fired furious volleys against Oubaali but was still out-hit by the Frenchman. 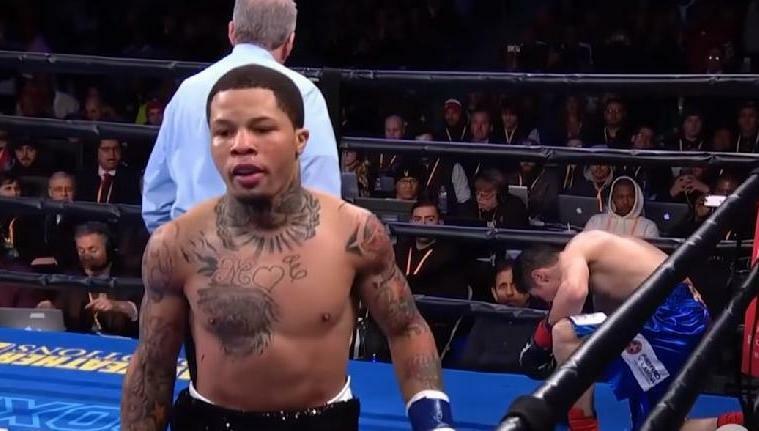 It was clear during the last three rounds of the fight that Warren needed a knockout or some knockdowns to turn the momentum, but was stymied through every attempt. Oubaali seemed to always get that last punch in. All three judges saw it Oubaali’s way 115-113, 116-112, and 117-111 for Oubaali the new WBC bantamweight world titlist. Warren was very cordial despite the loss. 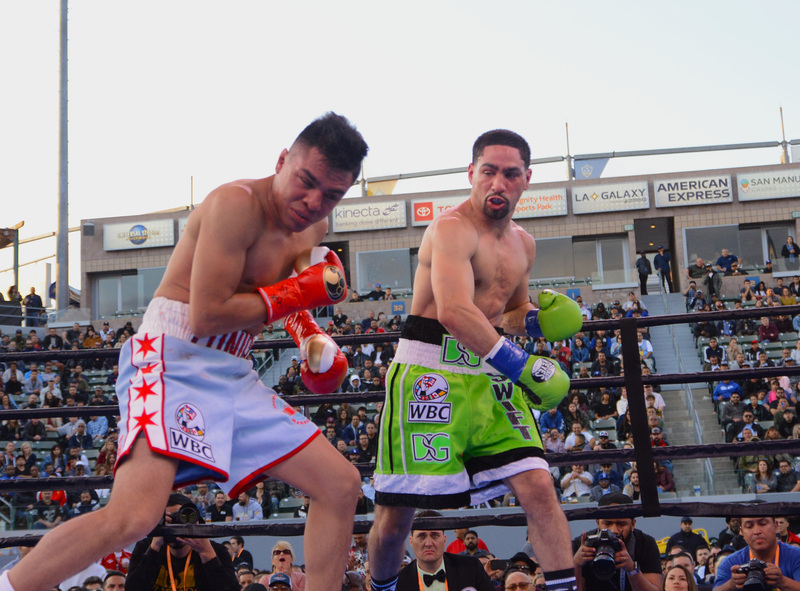 Hector “Cuatito” Ruiz (38-4, 31 KOs) went to work immediately against last minute replacement Alberto Guevara (27-4, 12 KOs, flooring Guevara in the first round of their battle of Mexican featherweights. From there on it was the “flight of the bumblebee” for Guevara who used every trick he knew to survive. After 10 listless rounds Ruiz was deemed the winner by unanimous decision 100-89, and 99-90 twice. The original opponent for Ruiz was supposed to be Jhack Tepora but he weighed five pounds heavier than the required 126-pound limit. Guevara took the fight on one-day notice. 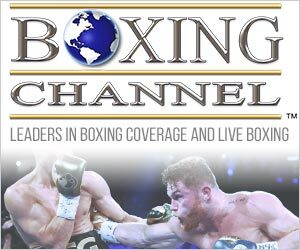 The off-TV undercard was reduced to five fights when the match between Genisis Libranza and Carlos Buitrago was cancelled. The culprit was Buitrago who came in overweight. George Kambosos, Manny Pacquiao’s chief sparring partner for PacMan’s last three fights, improved to 16-0 (9) with an 8-round decision over Rey Perez (24-11). The heavily tattooed Kambosos, from New South Wales, Australia, pays homage to his Greek heritage with images of Spartan warriors inked on his back. 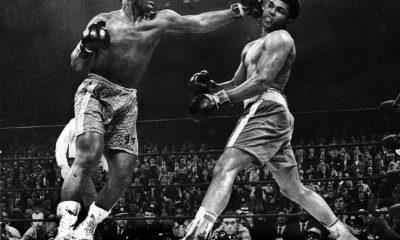 He pressed the action throughout en route to winning all eight rounds in what was a monotonous fight. In an action-packed 8-round welterweight affair, Jonathan Steele (9-2-1) scored a split decision over Jayar Inson (17-2). The scores were 78-73, 77-74, 74-77. Inson, one of several Filipinos on the card, went down hard near the end of the first round but fought his way back into the fight. 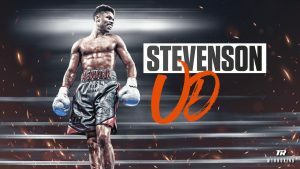 Steele is part of the burgeoning Dallas boxing scene. Desmond Jarmon won a majority decision over Canton Miller in a 6-round match in the super featherweight class. The scores were 59-55, 58-56, and 57-57. In a 4-round welterweight match, Destyne Butler cruised to a unanimous decision over David Payne. Butler won all four rounds on all three cards. 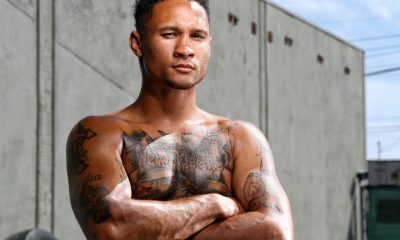 In a 4-round cruiserweight fight, Viddal Riley (2-0, 2 KOs), blew away Sacramento debutant Mitchell Spangler in 35 seconds. Riley, who hails from London, is trained by Jeff Mayweather. Arne K. Lang contributed to this report.